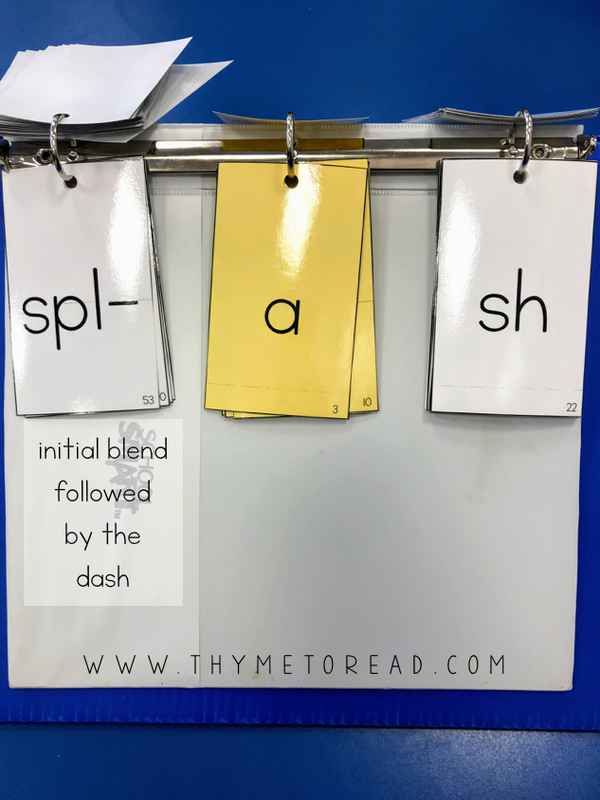 I recently shared a post about why an explicit phonics lesson should be a part of our daily ELA block. By outlining what I do in my small intervention groups, I hope to make planning for your phonics block easier. 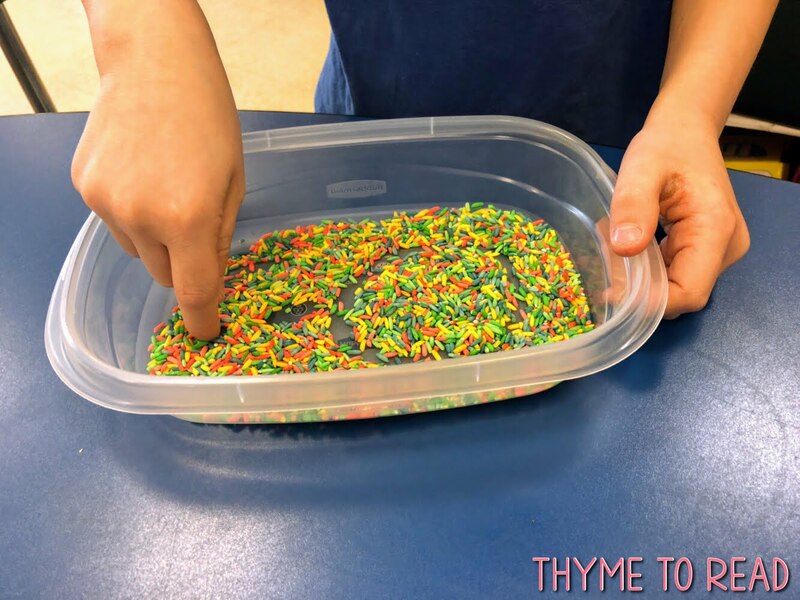 - Why is using a multi-sensory approach so important to phonics instruction? Using research based strategies is what is best for our students, and teaching phonics in a systematic and hands on way is proven to be a successful instructional strategy to reach ALL learners. Studies show that one in five students have a language based learning disability, and dyslexia is the most common language based learning disability. So, we have students in our classrooms today that this method of instruction will benefit and help to unlock the building blocks of reading and writing. Although, instructing with all the different modalities in mind can be difficult, it allows us to guarantee well rounded instruction for our students, especially those readers who are struggling. 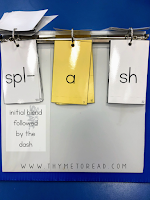 When colleagues come to me, and ask about how I teach phonics, the first thing I say is..."Let's work together to set up a quick phonics routine. It will be your new best friend!" Then I walk them through setting up their first set of phoneme/grapheme cards. 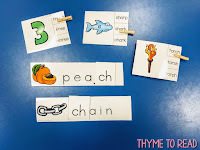 Having phoneme/grapheme cards can make visual, auditory and tactile instruction seamless, and even easy for us. 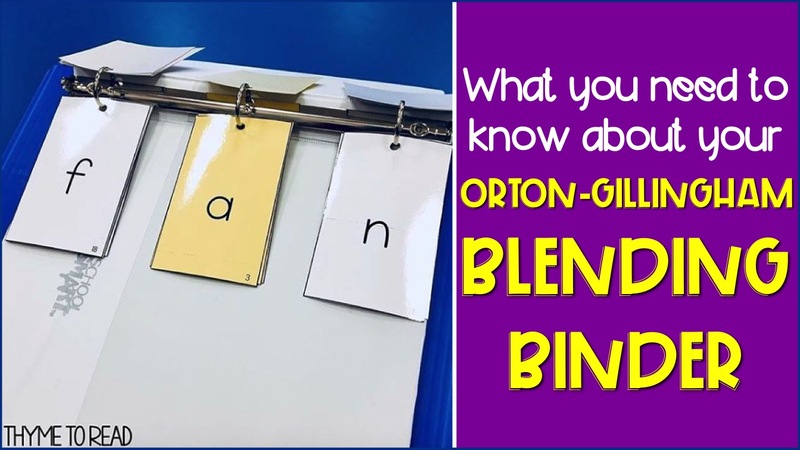 How can we start using an Orton-Gillingham approach in the classroom? This three part multi-sensory routine is the core of our phonics block. I aim to complete this routine with my students at least three times per week, and it takes 5-10 minutes. I use it as a warm-up, but you could do parts of this drill (1 and 3) while lined up before heading to lunch. during this drill, we show students a grapheme card and have them produce the sound (or phoneme) it makes. This is meant to be quick! If students make an error, correct the error and put the card at the back of the pile to flash again before moving on. There should be a mix of graphemes that our students have learned, but are not using (reading or writing) automatically. We will gradually add more graphemes as we provide explicit instruction, and we will remove graphemes once our students have mastered them. during this drill, (without showing our students any visual) we produce the phoneme, and the students produce the grapheme in rice, sand or on a felt square. Additional auditory support for our students comes from hearing themselves and peers re-produce the sound for the grapheme after writing it. If students make an error, correct the error and immediately have them re-write the correct grapheme, and produce the correct phoneme. Once expectations have been set, and students know to only make the sounds when I have given the signal, I change ONE grapheme at a time so students can build up some familiarity. This ends up being very similar to a chaining activity. How do we teach a new concept? The three part routine is perfect for quick practice and spiral review. It keeps concepts current and we control the practice, giving our students exactly what they need, when they need it. When we introduce a new phonics skill, we need to provide explicit practice before including it in the three part routine. We can say three words that include the new concept (mail, paint, chain), and ask the students what sound the words share (they all say A). Then we can write the same words on the board, and ask the students to begin to make a phoneme/grapheme association (AI says A). This would also be the time to introduce a concrete object to help solidify your students understanding a little more. This can be repeated as needed, and I like to mix it up by occasionally including words from review spelling patterns. I do NOT give "gotcha" words like wait and play UNLESS I have explicitly taught that AI is a beginning and medial phoneme/grapheme and AY is a final phoneme/grapheme. During this part of instruction, we use a gradual release model (I do with think aloud, we do, you do) to write words that follow the new concept (paid, sail, stain, waist, etc.). We can even dictate a full sentence so students have a chance to practice correct conventions. We can give our students words to read. Early in the week, I will show my students a word on a flash card/or written on the board. Then, I have them tell their hand a secret. One the count of three they let the word go and say it out loud. This allows students who are not quite comfortable yet some time to become more familiar with the new skill. By mid week we tell our "secret" to a neighbor, there is a little more accountability there AND the skill has been added to our three part routine. By the end of the week, I may call on some students to read words/sentences aloud. This is also the time to provide our students with systematic decoding practice by teaching syllable types. You can learn more about the seven different syllable types from this post/video. During this time, we also introduce a phonetically controlled text. This is so our students can get more authentic practice (beyond words and sentences). These phonetically controlled readers provide our students with the opportunity to read a text that has only the patterns they have been taught. We are asking them to foremost rely on the spelling and sound patterns to read. Side note: leveled readers rely more on inferential learning (or the use of context to learn to read). We often say with our littles to look at the pictures, or read around a tricky word. With phonetically controlled text, the hope is that pictures and context clues are not needed. When introducing a new concept we want to give our students some exposure time before expecting them to apply it. 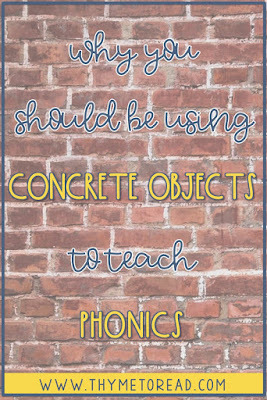 For this reason, I usually wait to put a new phonics skill into centers until at least one week after I have introduced it. This give us the opportunity to monitor students' practice and acquisition of the skill before releasing them on their own. If our students are not grasping the concept with us, then we do not want to give them the opportunity to practice it wrong on their own. 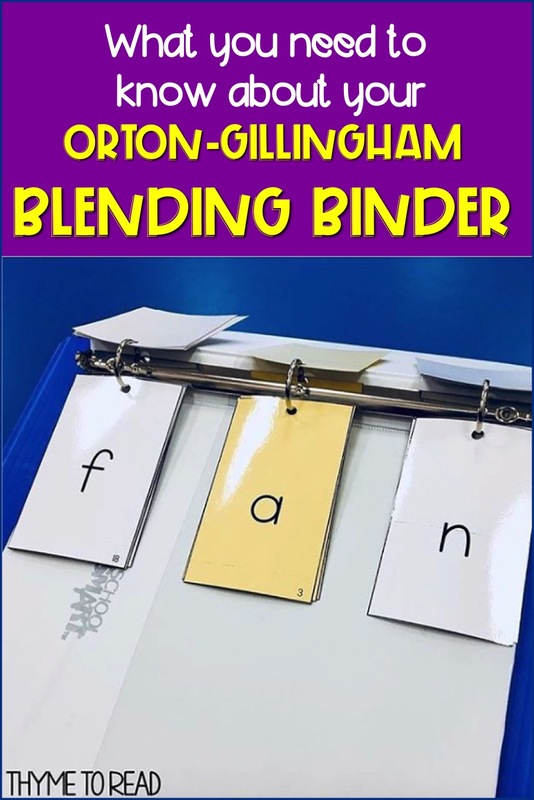 I hope now you can see how this instruction will fit the needs of your whole class, and small groups - on any given day, the only difference is the actual spelling pattern being taught. 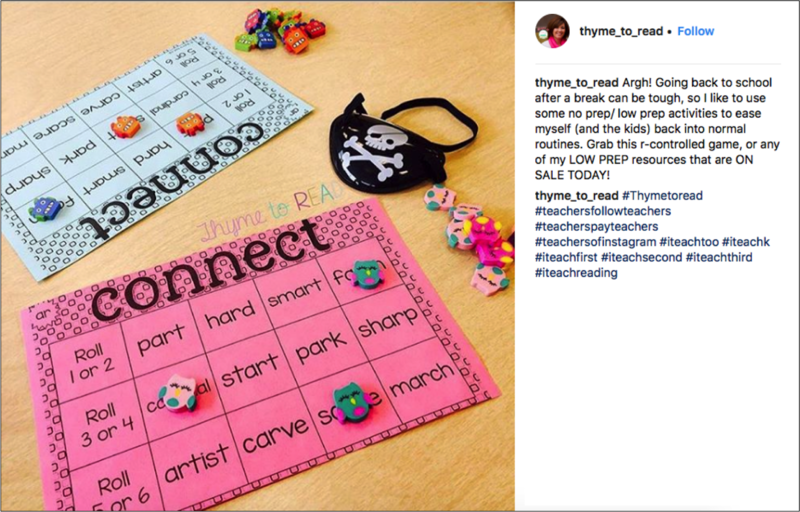 When using these routines with your whole class, you teach what the majority (80%) of your students need practice with. If you are held to strict scope and sequence, your skills will come from there. When you are differentiating in your small group, you teach what the majority (80%) of THOSE specific students need. If you have made your small reading groups based on reading level, it is possible you will see correlation between reading level and phonics need. 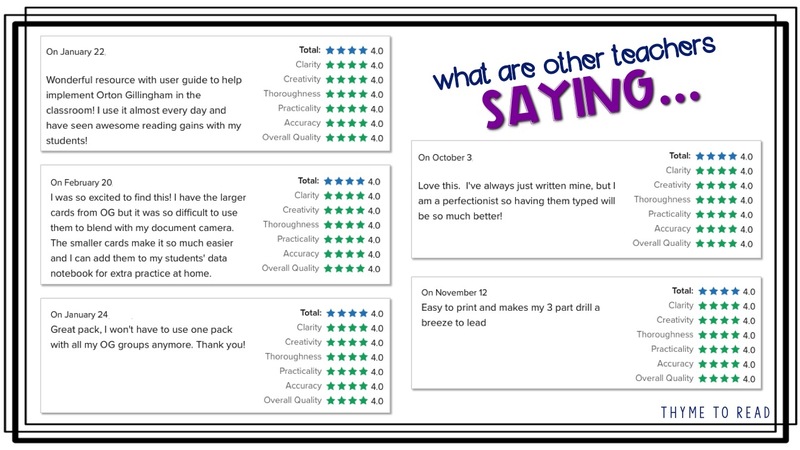 However, I like to use a quick diagnostic decoding survey (this one is a free download) to help organize my reading groups (K-2) by phonics need. By differentiating your instruction in small groups like this, you can provide more exposure and practice for the students who need it a second time around. 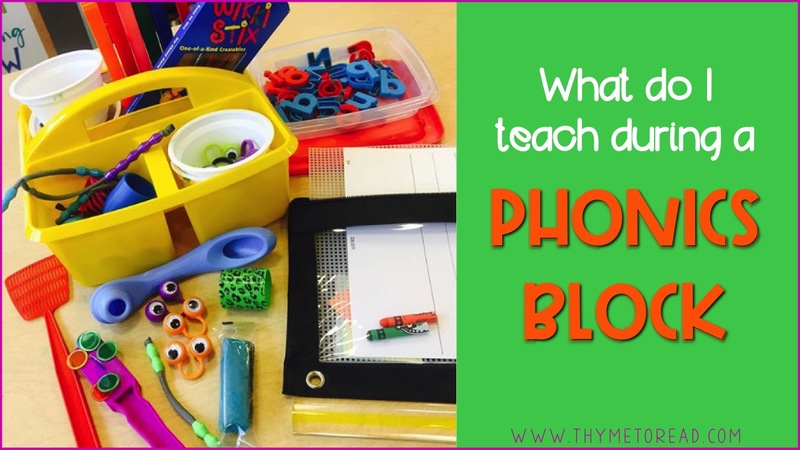 What else do you want to know about starting up a phonics block in your classroom? My school has recently started a "reboot" of phonics professional development, and increased instruction. We have discussed what we are currently doing, and why it is not quite enough. 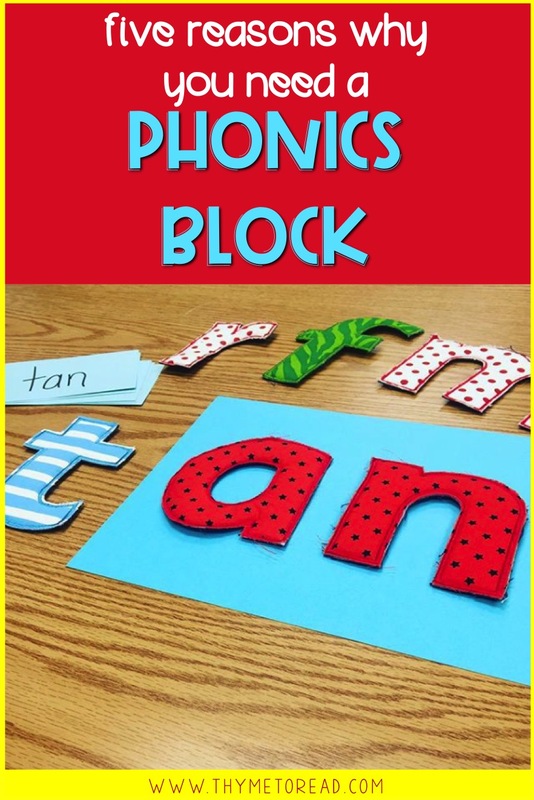 We have decided to be responsive to our students' needs by implementing a consistent phonics block - a time for explicit, high quality instruction that will support all of our learners, and help them to become more proficient readers and writers. We saw a gap, and something tells me that my school isn't the only one, that is seeing this need. 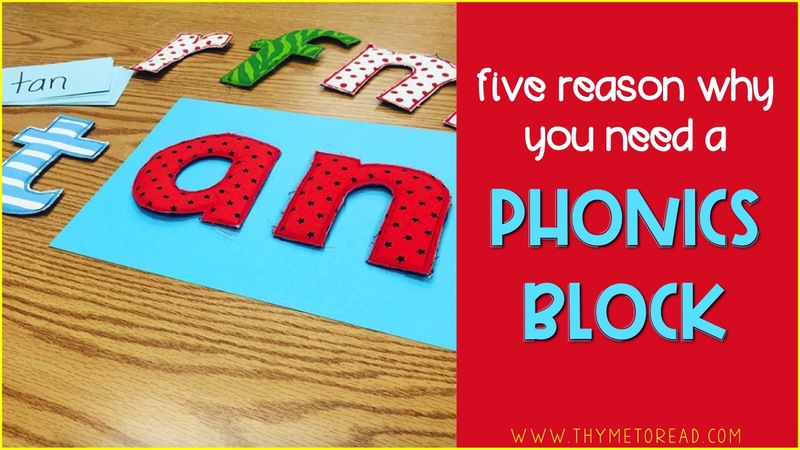 So, why is a phonics block so important? 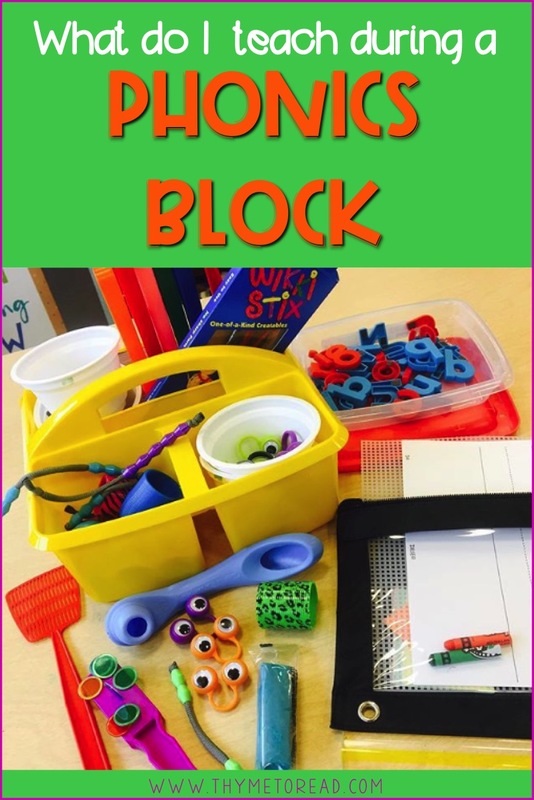 A phonics block IS the time to pull out research bases strategies that support all learners. It is a time to be flexible and responsive to our students needs. This means teaching and re-teaching phonics skills/spelling patterns as needed so our students have automatic retrieval in reading and writing. It is a time to provide our students with controlled texts that contain the spelling/sound patterns they have already learned. A phonics block is NOT time consuming and difficult to plan for. We all know that we are tight on time (both with our students, and during our planning period). The good news is that our phonics block can be pretty much the same each week, with small tweaks to keep it fresh and engaging for our students. We know that incremental exposure (the mixing of new concepts and not yet mastered concepts with a few fully mastered concepts) is a great strategy to use with sight words, math facts, vocabulary, etc. and it is the perfect strategy to use with phonics as well. In less than 10 minutes a day (maybe a little longer on the day we are first introducing a new concept), we can work in spiral review of previously learned skills to keep them current, and build more automaticity. We can also provide new teaching (introduction of a new spelling pattern) in a way that allows the brain to focus on the learning rather than the method. 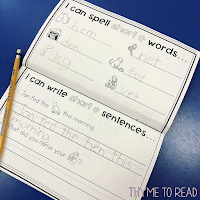 Meaning, by being consistent week to week, our students know what to expect from our phonics routine and can focus all of their brain power on learning the new content, rather than focusing on directions. 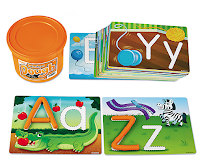 When applied phonics knowledge become automatic, it leads to improved reading fluency. Our fluent readers are also more successful with their comprehension of texts, because the brain can move from learning to read, to reading to learn. 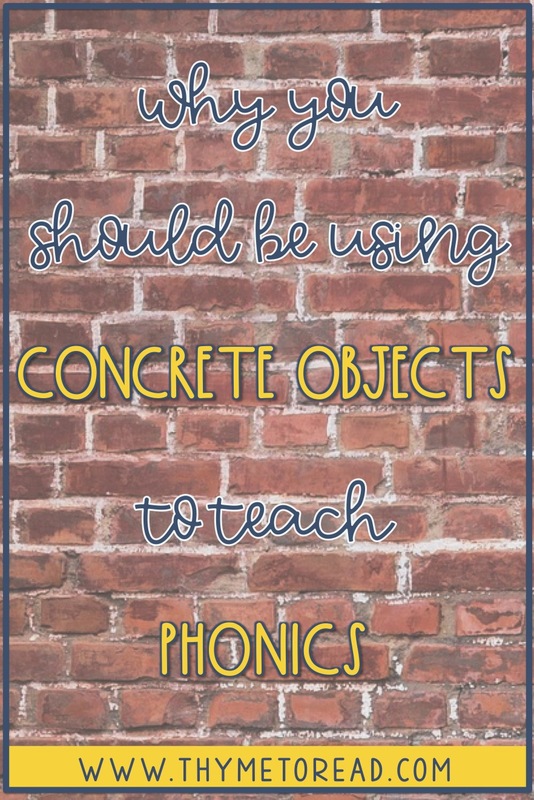 This does not mean that phonics instruction trumps or takes the place of fluency and/or comprehension instruction. It just means that one skill is helping the development of the others, and together, they can propel our students along their reading journey a little faster. As with anything, some students may only need minimum exposure/instruction to make connections between phonetic patterns, and the associated sound. However, plenty of our students need repeated exposure and explicit instruction of spelling patterns/rules to make sense of these reading and writing building blocks. 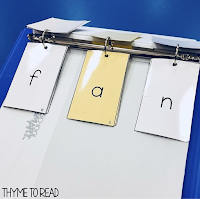 For our students who take to reading and writing like it is common sense, we can use this time push them forward and discuss multi-syllable words. For the majority of our students, we need to be aware that there is no natural connection between groups of letters and their sounds. It is our job to assign sounds to groups of letters and bring forth meaning with words. We also cannot assume that our students will master phonics by JUST reading more and practicing spelling. Unfortunately, packaged reading programs (typically) lack in the area of phonics. It is often marketed as an included "spelling curriculum". Well, I'm sorry to say providing students with a weekly spelling list, and a set of homework pages is not the same as teaching phonics and spelling patterns. This kind of TEACHING follows a strategic, systematic, building block approach that cannot be outlined in a series. When a series assigns a weekly (get it, and forget it) spelling list, they are missing the structured lessons that introduce students to spelling/sound relationships, thus unlocking the countless words that can be read/written with that pattern. Are we limiting our students to 20 words that fit the pattern of the week? Are we limiting our students by assessing their spelling ability on a once a week test, rather than authentically and regularly assessing how they apply skills they have learned in their reading and writing? So, by teaching spelling, are we limiting our students, and cutting their instruction short? ... Which in turn, could have a big (negative) impact on their ability to read and write? This is a topic that I have been sitting on for quite a while. I think it's because it is controversial to challenge what so many people are doing - and I'm a very non confrontational person. I'm NOT saying that teachers have got it all wrong by not having a phonics block, or by following a spelling curriculum from a reading series. I AM hoping to challenge the norm a little, and provide some points to think about. The key is to provide all of our students with explicit and thorough phonics instruction that will lead them to reading and writing success. One of my favorite memories from Kindergarten was creating a Letter Museum. My teacher asked my classmates and I to bring in objects, pictures or drawings of things that started with the letter we were learning that week. We were all so proud of our museum, because it was something we had a hand in creating, and it had personal meaning to each one of us. Do you know why a primary alphabet has pictures above each letter? The reason is simple, it is building a relationship between letter name (and how it looks) and sound. If a student were to get stuck when retrieving a letter sound, the picture cue could help stimulate a connection. Dough Mats from Lakeshore Learning. What happens though, when our students move beyond the 26 letters of the alphabet? What can we do to help build those connections? 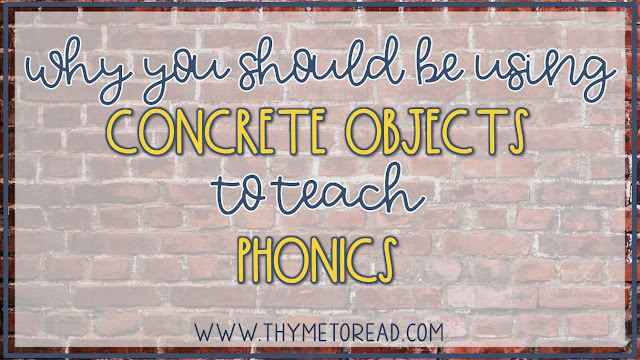 Using concrete objects to introduce new spelling patterns can create a deeper association and lasting memory of these new skills. We can use my Kindergarten teacher's idea for the "Letter Museum", and keep it relevant for our first and second graders. You could certainly, still ask your students to bring in objects that match the phonics pattern/spelling skill you're teaching, however, that could get difficult because of the many ways to spell the same sound (LONG A: a, a_e, ai, ay, eigh). Instead, we can control the experience a little more by providing our students with unique opportunities to make memories with the new skill. When teaching my students about the final -ck sound, I like to use the visual of a BACKPACK. 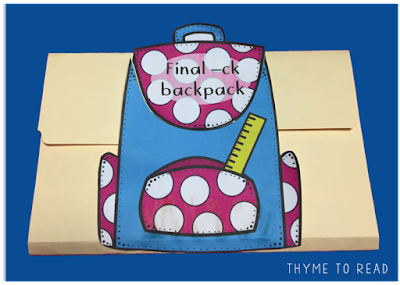 All of my students know what a backpack is, AND, perfectly, a backpack goes on their back - just like the final -ck sound goes on the "back" of a word/syllable. 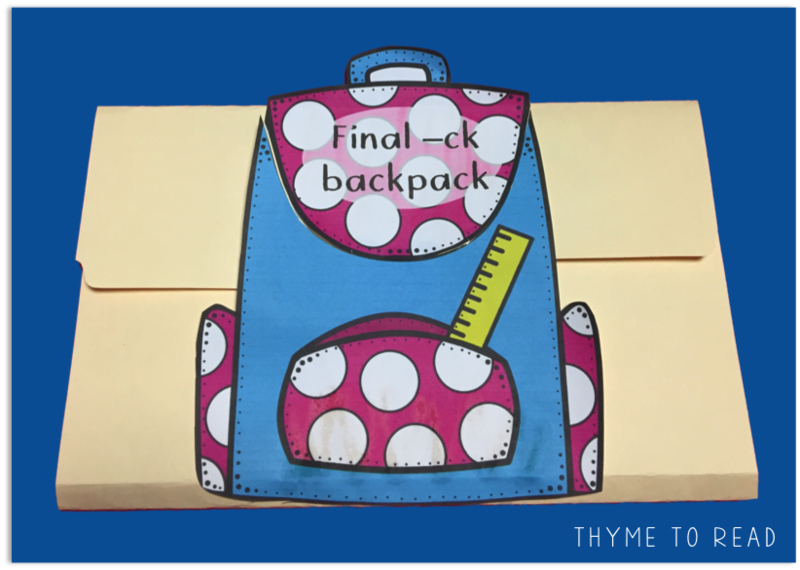 They create their backpack from a file folder and "stuff" it full of pictures and words that follow the final -ck pattern. This activity, while it takes some time, not only helps my students with a visual, but it also solidifies when they should use the final -ck pattern. When I only have my students in front of me for 20-30 mins each day, I have to make the most out of the time I have with them. 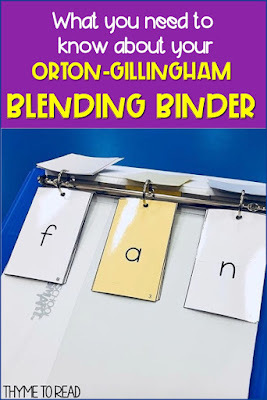 A multi-sensory project like this may look like just another craftivity, but I make sure to include word sorts, picture matching and encoding practice. 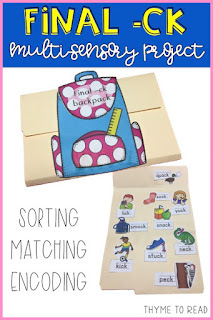 This activity when paired with decodable readers, could last most of the week in my small groups. When possible, I also try to find a read aloud to help introduce new skills to my students. 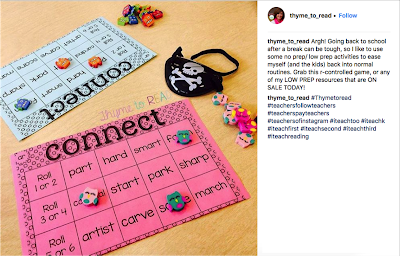 THIS post shares a great book to read for R-Controlled Vowels. These ideas while simple, can have just as great an impact on our students. The only goal we have is to help solidify a memory, and make retrieval of these sounds/spelling patterns automatic. All of this can be done with the experiences we create during our phonics block. Let's start a list! Share in the comments some ideas you have for concrete objects. Make sure you list the phonics skill/spelling pattern it applies to. 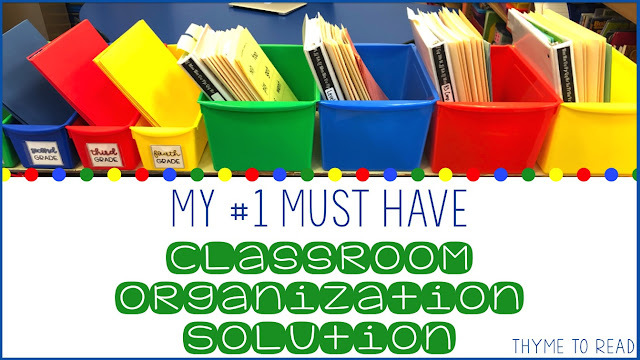 I know how much you love classroom organization! It's a real feel good part of setting up our classrooms, once you figure it out. But before that, it can be a big source of stress. 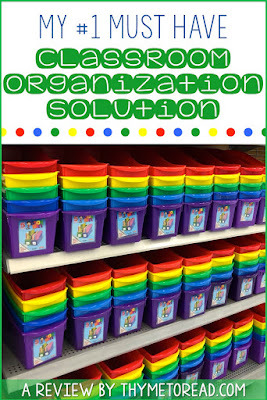 It took me several years to figure out an organization system that worked well for my small group instruction. And now...I want to share that with you! I have used these Storex book boxes, from Wal-Mart (5 for $9.97) for the past two years, and instantly fell in love. 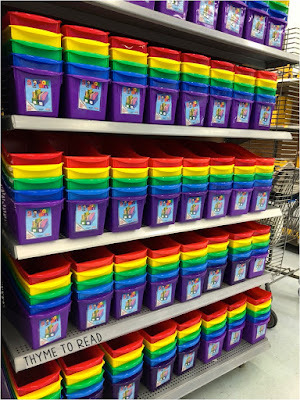 I'm a big fan of color coding, and my school uses the Fountas and Pinnell Leveled Literacy Intervention (LLI) system, which is also rainbow color coded. 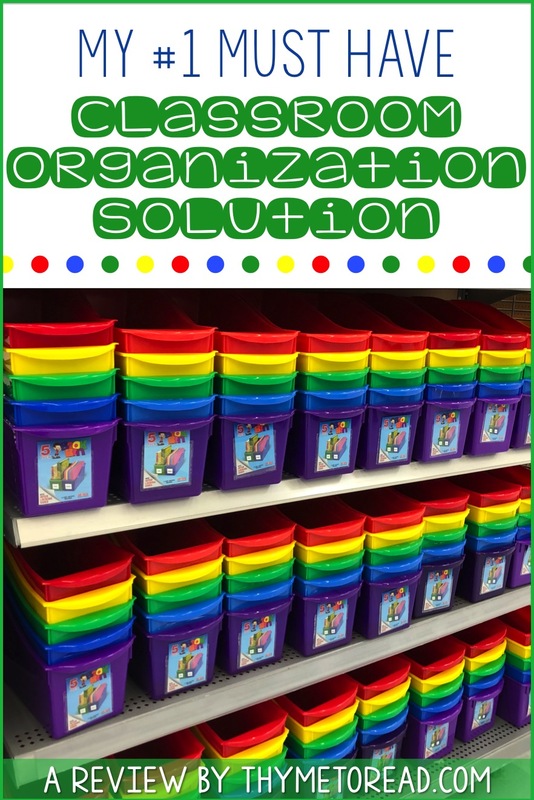 These bins made for no-brainer organizational alignment. The bins hold materials for the small groups I see throughout the week. Each grade level gets their own bin. 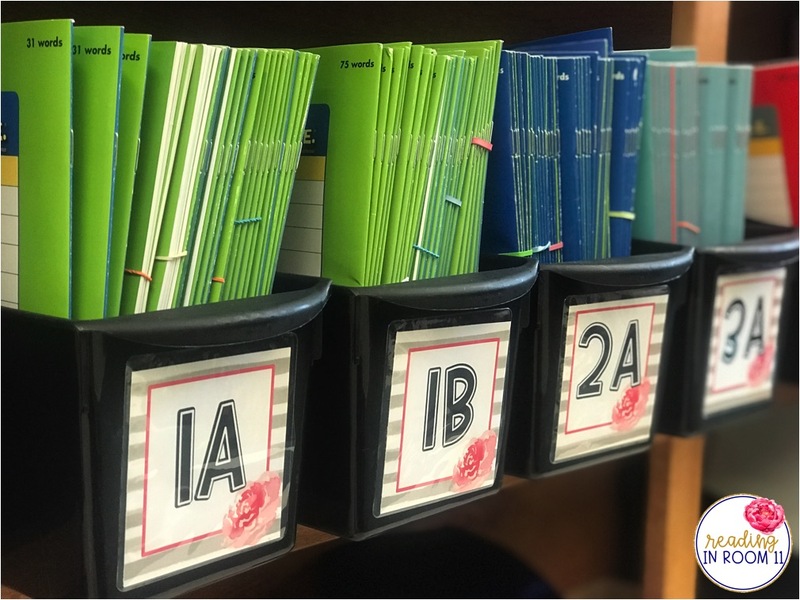 In each bin is a folder for each student, which contains student references (such as Fundations cards and comprehension posters), our group book, progress monitoring materials, and anything else we might need for the week. 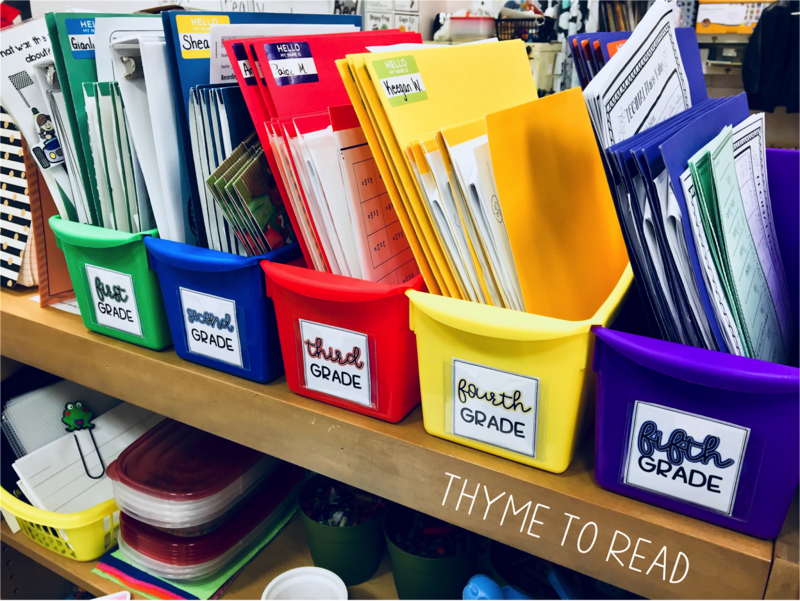 You could easily modify my color coded "grade level" bins to hold materials for the small groups you meet with, just within your classroom. Storex is a storage solution company based out of Montreal, QC, and they were generous enough to send me a set of their newest storage option to try out before the school year ended. As I said, I have been using the "Large Book Bins" for a few years, and couldn't be happier with my day to day classroom organization. However, three times a year when benchmark screening comes around, I cringe at the sight of the intervention room. It has always looked like a tornado rolled through at top speed, until this last assessment period! I was gifted the BRAND NEW "Double XL Wide Book Bins". My team and I used these super large bins to hold everything we needed for end of the year assessments (both reading and math in most cases). They housed our student packets, teacher administration packets, grade level checklists and student folders (for every student on our caseload - that needed to be "stuffed" before end of the year filing). The color coding made organizing a breeze, because my Type A teacher crazy has rubbed off a little bit on my teammates too. I would regret not mentioning that Storex has expanded the Wal-Mart selection for this Back to School season! 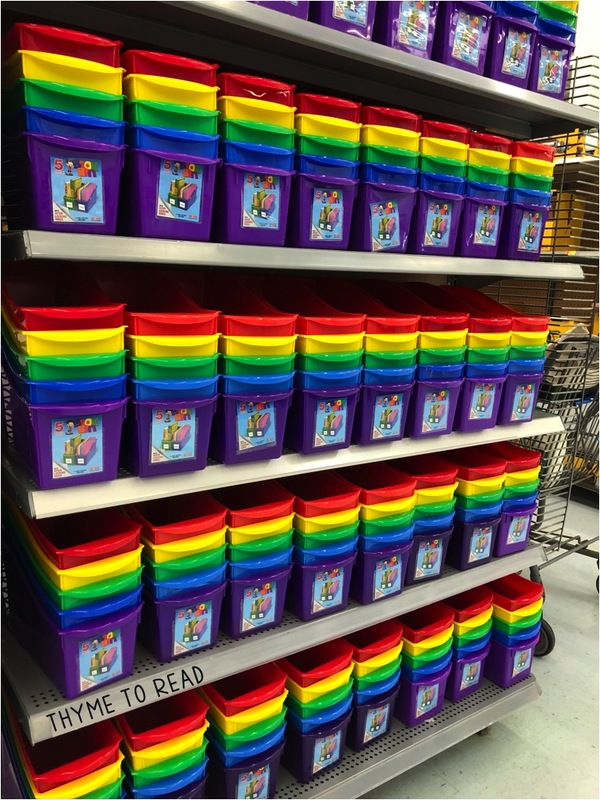 In addition to the large book bins, they also have a rainbow set of 5 pencil trays, individual caddies, and cubby boxes with LIDS! The caddies and cubby boxes are available in a gorgeous turquoise color, so run fast to get them! I have not used these storage options in my classroom, but after seeing them in store, I am trying to figure out how I could - especially the cubby boxes, they are a great size and super sturdy! SO STURDY! These books bins are a beast even for rough and tumble classes. Wal-Mart line is affordable, even if purchasing on your own, and they have had a BTS presence for at least three years (hopefully they aren't going anywhere, anytime soon). Organization options outside of the Wal-Mart line is pricey if you are purchasing out of pocket, but would be a great option to ask your school to look into. 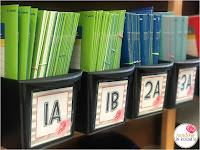 Jenn from Reading in Room 11 says, "Year after year I would change the way I organized my reading materials because I never found a system that I loved. All of that changed when I purchased my first set of Storex bins! I loved them so much that now I use them to organize my books too! They are the perfect size, durable and lightweight! I will never use another bin!" 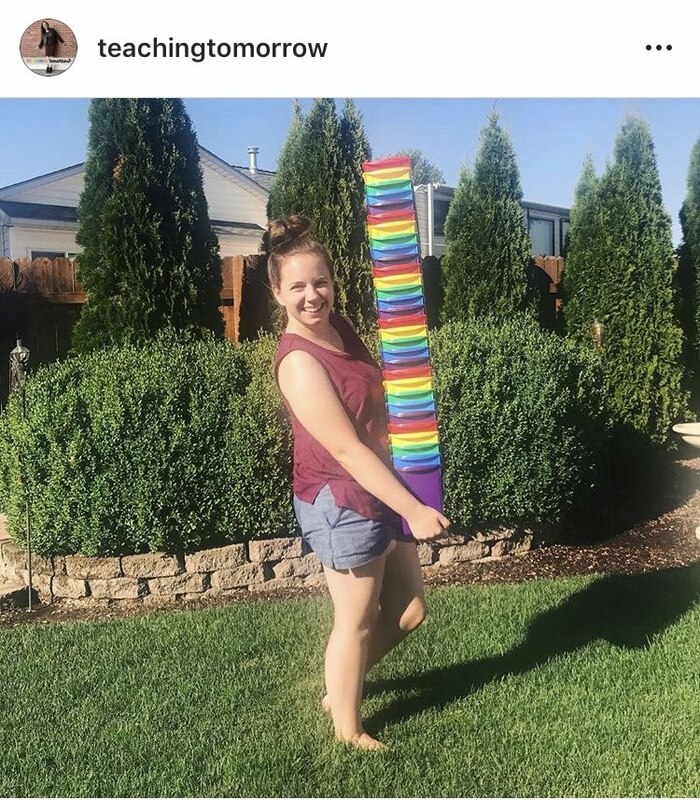 Kristina, a first year teacher from Utah says, "This upcoming year I will have an entirely flexible classroom. I will be using the bins for my students to store the things that they need every day. 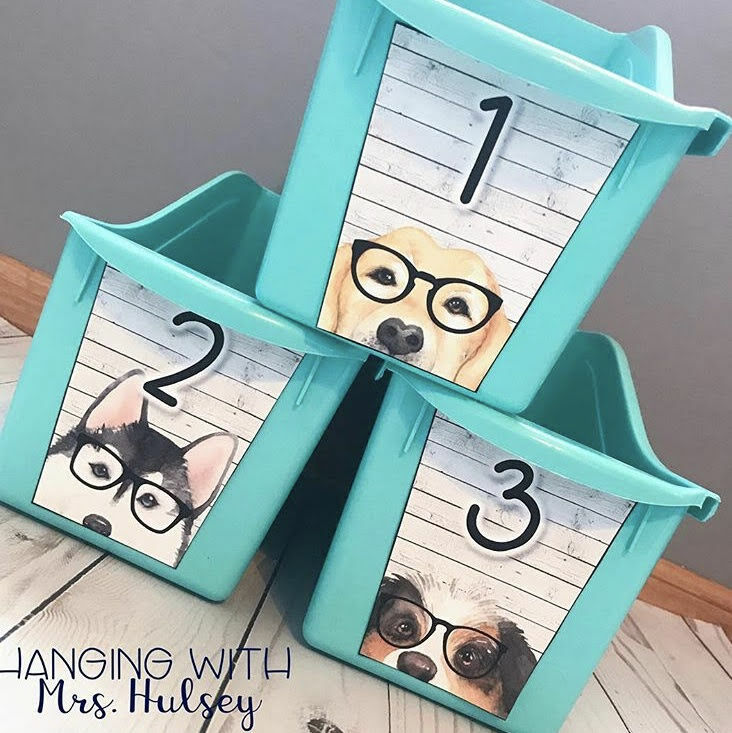 The bins will be easy for them to move around the room when they need to find the best spot for their best learning experience!" 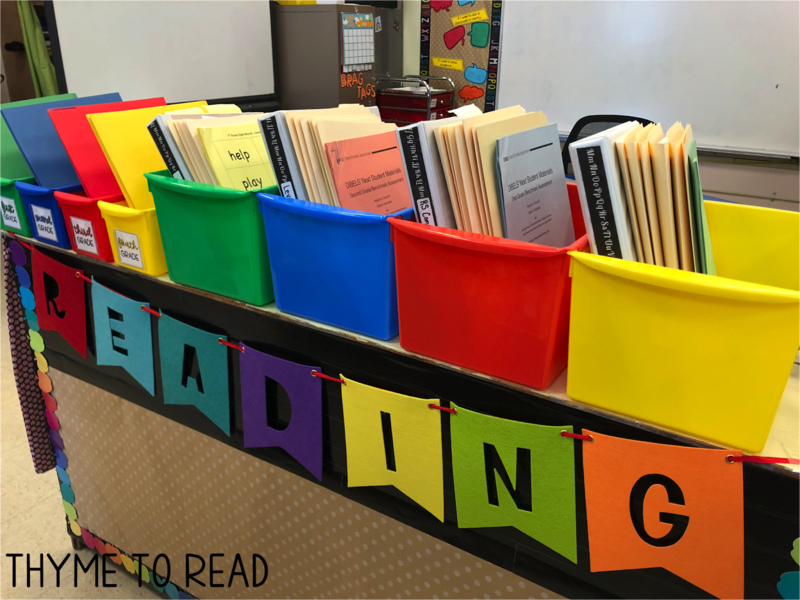 Anna, a 3rd grade teacher, says "I love the Storex brand book boxes above all others! 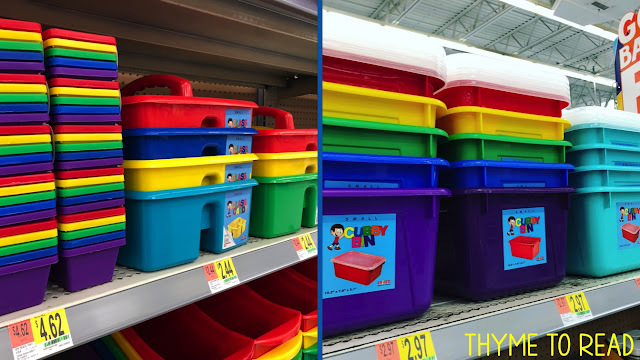 For years I tried different boxes in my classroom, but they never had the colors I wanted, and they never stood the test of time. These Storex boxes have lasted me many years and are well worth the investment. Pretty AND useful!!" Anna has also created beautiful labels for her Storex book bins. Check them out HERE! For several years, I tried different organization options for my small groups. I've used mailboxes, a rainbow cart with drawers, even magazine boxes - which got me close to happy, but they were just not sturdy enough. I spent more money than I care to admit trying to find something that worked. Since stumbling upon Storex, and all they have to offer for classroom organization, I have not turned back! Everything just works, and with some of their sets being available at Wal-Mart, for a very affordable price, I have been able to grow my organization collection on a teacher's summer budget. I would love to hear if you have tried the Storex book boxes (or other sets) in your classroom, and how they have been working out for you!